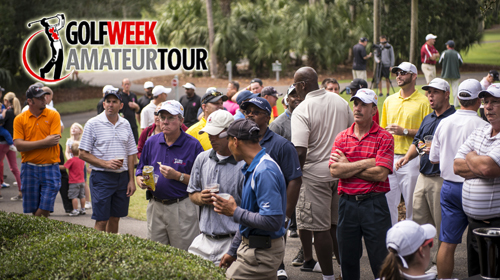 WELCOME TO THE 2015 Season THE 21st SEASON OF THE AMATEUR GOLFWEEK TOUR! ONLY TWO WAYS TO GET TO THE GOLFWEEK NATIONAL TOURNAMENT Where Will You Be In The 2014 Year-End Point Standings Race? 2013 GOLFWEEK AMATEUR GOLF TOUR MARCH 9TH BRYAN PARK (PLAYERS)! Sign up now for The IceBreaker in Hilton Head & The 2 man team Championship in Myrtle Beach! FEBRUARY 2, 2013 PRE-SEASON TOUNEY AT LEGACY GOLF LINKS, JOIN THE TOUR NOW! 2 Golfweek Tour Flight Winners decided in Playoffs! BREAK 100 - WIN A TOURNAMENT! 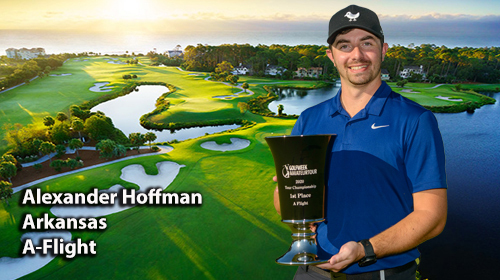 3-Man playoff decides flight winner in Golfweek Amateur Tour event! 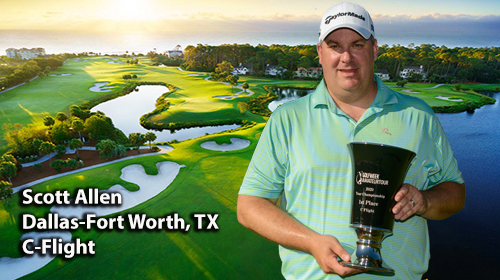 AFGHANISTAN VET FIRES 71 FOR GOLFWEEK TOUR WIN AT SALEM GLEN! 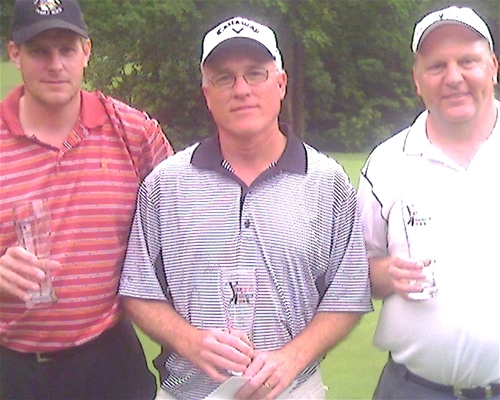 The Tour season begins on Saturday, March 3 at Salem Glen Country Club in Clemmons. Mid Pines Resort next Tour Stop 2/18! 124 player field and great weather kick off the Senior Amateur Tour! 2012 Golfweek Amateur Tour starts 1/28 at The Legacy Golf Links! 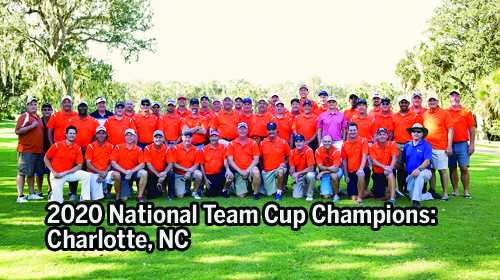 Golfweek Amateur Tour National Championship tournament in Hilton Head, SC Oct. 21st-23rd! Rick Luzar beats the "Flatbellies" at Mid Pines! LEGACY EVENT RESCHEDULED FOR SATURDAY, FEB. 12. 2011 Season kicks off February 5th at Legacy Golf Links in Pinehurst! This Saturday's event scheduled for Hyland GC in Southern Pines has been cancelled. Play the Charlotte Tour instead at the Warrior GC! MACEJKO NOTCHES 2ND EGOLF TOUR WIN! THOMASVILLE'S NICK TERRY BLITZES B FLIGHT FIELD ON EGOLF AM TOUR! The 2010 season finally starts with 128 players battling it out at Mid Pine Resort! 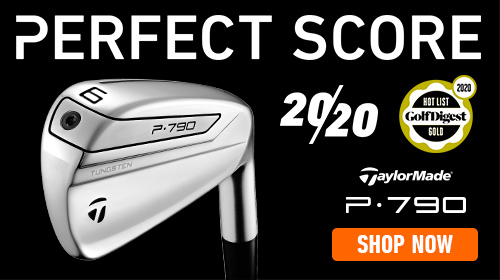 DOUBLE EAGLE HIGHLIGHTS EGOLF EVENT! 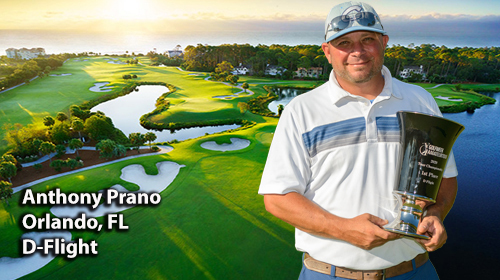 FLIGHT WINNERS GO LOW IN EGOLF BERMUDA RUN WEST EVENT! EGOLF AMATEUR TOUR BRAVES WEATHER AT MID PINES! 117 players battle it out at The Legacy Golf Links on Saturday! 2009 egolf Amateur Tour kicks off the season on January 31st at the Legacy! REYNOLDS FIRES CAREER-LOW EGOLF ROUND! EGOLF TOUR "GRADUATE" WINS AT CAROLINA TRACE! TIGHT RACES HIGHLIGHT EGOLF TOUR EVENT! EASY WINS MARK EGOLF LONGLEAF EVENT! 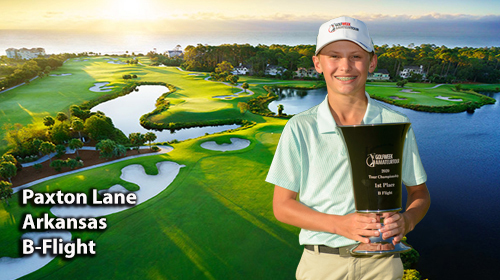 WINSTONâ€™S LOGAN FIRES EGOLF AMATEUR TOUR RECORD SCORE! ACE HIGHLIGHTS EGOLF TOUR MAJOR AT MILL CREEK! 3 WAY PLAYOFF HIGHLIGHTS EGOLF TOUR PINEWOOD CC EVENT! WEATHER WOES ONCE AGAIN PLAGUE EGOLF EVENT! SUDDEN DEATH PLAYOFFS DECIDE EGOLF TOUR WINS! Egolf Amateur Tour starts January 26th!